This is my first post, please be easy on me. I have been looking for a car to replace my Miata. I have thoroughly enjoyed the Miata life, but am looking to switch it up as variety is, after all, the spice of life. When coming from a Miata, what could be more different, a better way to have a different car experience, than a Crown Victoria? Where the Miata is small, the CV is huge. Where the Miata has a tiny 4 banger the CV has a hulking V8. Where the Miata has a snick-snick manual transmission, the CV has an archaic 4 speed automatic. Where the Miata breaks my back on a road trip, the CV would be a cocoon from the outside world. Or at least that is the thinking. 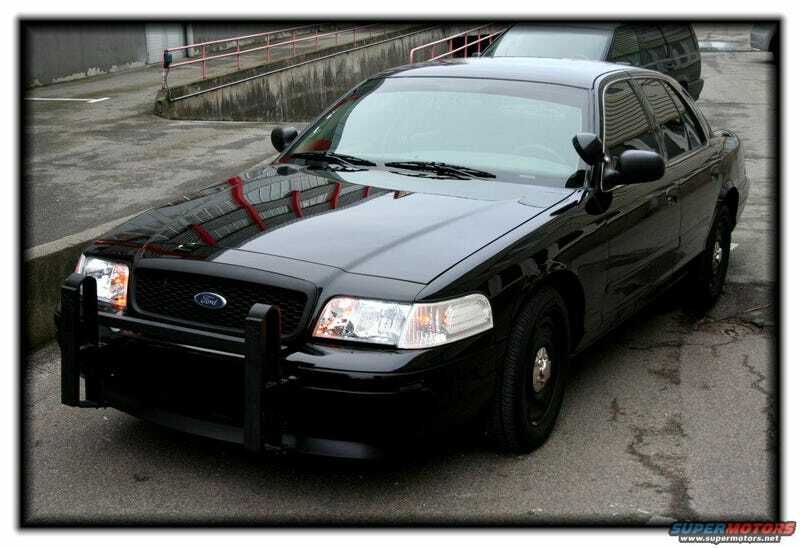 So when looking for a Crown Victoria, a decision must be made: Civilian Vic or the Crown Victoria Police Interceptor (CVPI for short). The CVPI has myriad upgrades over the civilian version, the headlines being a shorter axle ratio (3.27 or 3.55 compared to the regular CV at 2.73), upgraded transmission and oil coolers, heavier duty suspension, slight chassis stiffening, slightly different air intake, harder and higher transmission shift points. But the downside to the CVPI is the potential is has been beat to hell. The CVPI usually will come with detailed service records from the department it was used by (and being the government, they are serviced properly and on time). I would be looking for an example with lower miles (50,000 to 90,000) in hopes of not getting a hunk o junk, but still it is tough to compare to a regular Vic, which are usually owned by the mythical 'some old lady'. The only real advantages the CVPI holds for me is the more advantageous axle ratio (to make this boat swim a little faster), and perhaps the suspension and chassis upgrades. What say you, OPPO, is getting a CVPI a bad idea, are they all beat to hell? Or are they well serviced steals if you find the right one? It would be great to get any input from true Pantherphiles who have driven both. If you have made it this far I applaud you.